It is always better to keep an eye on the weather, especially if you are going on a tour or travelling someplace. This month in October 2013, Odisha (formerly known as Orissa) was hit by cyclone Phailin and earlier this year during the monsoons, in June 2013 Uttarakhand was hit by heavy rains following floods and devastation. Better be on the safer side and make a check of weather forecasts and alerts for the place you are planning to travel. Weather forecasts may not be 100 per cent accurate, but it does help to get some information on the possible weather conditions for the place you have planned to go to. Now, apart from online portals, there are many apps for the ones with smartphones. 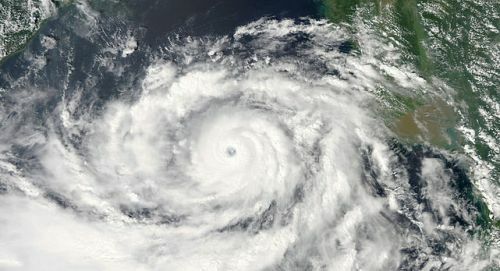 A warning was issued by the Met department as cyclone Phailin was moving towards the eastern coastline in Bay of Bengal. This was telecasted by all the news media. Severe weather alerts will be telecasted in the news media. Even then, it is always advisable to check the weather before embarking on a tour or journey, during any season, as bad weather can play spoil sport in your fun trip or excursion. Things can turn ugly if the bad weather worsens. India Meteorological Department (IMD) Weather forecasts and warnings. (Also referred to as the Met Department, IMD is an agency of the Ministry of Earth Sciences of the Government of India.) You can find can find severe weather warnings, weather bulletins and forecasts for all of India in their website.